What is Thyroidism, problems of Thyroidism and control measures of Thyroidism? Thyroid-ism is a bodily disorder caused due to defective functioning of Thyroid gland located in our neck region. In this article, I give an account of various problems caused due to decreased or increased functioning of Thyroid gland and how to overcome the problems caused due to malfunctioning of this gland in our body. 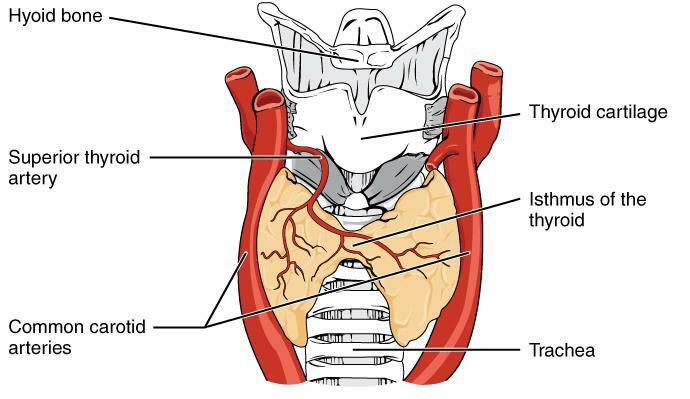 Thyroid gland is a butterfly shaed endocrine gland present in the neck region below larynx. As endocrine gland (ductless gland), it secrete two very important hormones in our body- Thyroxine and Calcitonin. The Thyroxine hormone secreted by this gland will control the entire cellular metabolism and growth of our body. The other hormone Calcitonin will control the calcium metabolism of our body. Even though the secretions of this gland will control the functioning of our whole body but the amount of this hormone secreted daily will be equal to a small droplet of water. But if its secretion becomes less, it leads to a condition called Hypothyroidism and if its secretion becomes more it leads to a defective condition called Hyperthyroidism. According to World Health Organization (WHO) 20 Crores of World's population are suffering from the malfunctioning of this gland. Out of which, 96% of the people are suffering from hypothyroidism (less secretion of thyroid gland). In India 32% of the total population are suffering from Thyroid problem according to WHO. Thyroidism problem is more prevalent in females than males (60% of Thyroid patients) according to WHO. Hypothyroidism is the condition of the patient in which there is a decrease in the secretion of thyroxine hormone by the gland. To identify the defects through the symptoms is not an easy thing. A good medical practitioner through various diagnosis tests can identify this problem. After identifying the problem through medical tests, doctor prescribes proper medicines and suggest various life style changes required to keep the problem under control. Increase in sudden body weight without any change in abnormal eating habits and unable to reverse the condition by any method followed by individual. Feeling sleepiness during day time even though the individual is having 8-10 hours perfect sleep at night time. Profuse sweating from the foreskin of hands and feet. Skin becomes dry and nails become broken hair falls. No control over emotions, easily get irritated and mentally get depressed. Muscles and joints get pain. Loss of concentration on the work and loss of memory power. Hypothyroidism is usually caused due to deficiency of Iodine mineral in diet. Iodine mineral is the principal ingredient required for the synthesis of Thyroxine hormone in our body. If Iodine lacks in our diet T-3, T-4 thyroxine hormone secretions become less and cause hypothyroidism. Rarely this problem is caused through genetic defects and also through hereditary. Tumors formed in Thyroid and Pitutitary gland also cause hypothyroidism problem. Certain medicines used for heart diseases, Hepatitis-B, Hepatitis-C, Cancer, Bi-polar disorders etc. may also affects the functioning of Thyroid gland. Immune system of our body also some times affect the functioning of our thyroid gland. The antibodies created by our body will attack the disease causing germs. But some times these antibodies will attack the tissues of our own body like Thyroid gland which makes it non-functional. Tumors formed in Thyroid gland leads to Thyroid cancer which makes it completely deformed. T3, T4, TSH, FT3, FT4 analysis tests of hormonal secretion will determine whether the disorder is hypothyroidism, Pre or secondary or tertiary hypothyroidism. With Antibody test it can be determined as auto immune disorder or not. For Tumor determination, Fine Needle Aspiration Cryptology (FNAC) biopsy test will be conducted. Thyroid hormone has greater importance in pregnancy time of the mother. Thyroid hormone secreted from mother will influence the development of brain and nervous system. Thyroid tablets will be given to mother if thyroid hormone secretion is insufficient in mother. If thyroid secretion of the mother is more foetal growth in mother's womb is inhibited. So in such situation anti thyroid medicines will be used by doctors to reduce the thyroid secretion of the mother. Prescribed medicines by the expert doctor has to be used in prescribed doses life long to keep the problems under control. Sleeping disorder to be checked by hypothyroidism patient. They have to see that they must quality sleep at night time. For this, they must maintain even temperature and peaceful atmosphere in the bed room. atient can overcome emotional stress by yoga, physical exercises, listening to soothing music etc. Walking, jogging, bodily exercises are very important for to keep the weight in control. Hypothyroidism patients have to take balanced diet regularly. They have to include whole some grains, pulses, vegetables, leafy vegetables etc. in their diet. They have to avoid diet filled with fat and sugars. If sports personnel inflicted with this problem, they have to avoid rigorous practice of the sport and excess physical exercise. Hyperthyroidism is caused due to excessive secretion of thyroxine in an individual. The excessive secretion of this hormone may lead to bring any of the following symptoms in the individual. Loss of weight even though the person is consuming sufficient quantity of food. Difficulty in getting proper sleep. Patient frequently go for excretion. Individual suffer from mental depression. Patient feel over excitement in heart. Person unable to bear heat. Patients suffering from this problem have to intake excessive calories through diet. Diet of the patient must contain proteins, fats, carbohydrates, calcium, Vitamin-D, milk, fruits, meat, vegetables etc. Individuals have to strengthen muscles of the body through physical exercises. Patients avoid excessive in take caffein and other stimulants which will worsen the symptoms of patient. Patients have to avoid excess use of sugar and packaged food. Nice article about thyroid disease. In simple terms, thyroid hypofunction means slowing down of body functions while hyper means rapid body functions- heart rate, speed, mental state, bowel movement etc. Profuse sweating of skin of the hands and feet is a sign of 'Hyperthyroidism' and not Hypothyroidism. Irritability is also a feature of Hyperthyroidism and not hypothyroidism. Thickened tongue, slow speech with a husky voice quality are also features of hypothyroidism. Commonly, at times of increased demand (puberty, pregnancy) people tend to become a little hypothyroid. In a hyperthyroid person, the appetite is increased a lot because of high basal metabolic rate and they do not have depression. Decreased appetite and depression are features of hypothyroidism. If a person believes in allopathic medicines, both hypo and hyperfunction of thyroid need medications under the supervision of a physician or an endocrinologist. At times, hyperfunction of thyroid would need radioactive iodine as part of treatment or surgery.